Questions? You might find your answer here. upcoming events, concerts, & news. The Federal is adjacent to the El Portal Theatre. The North Hollywood Stations for the Metro Red Line and Orange Line are directly across the street north of Chandler on Lankershim. Go Metro and save 10% on food. For more details, click here. 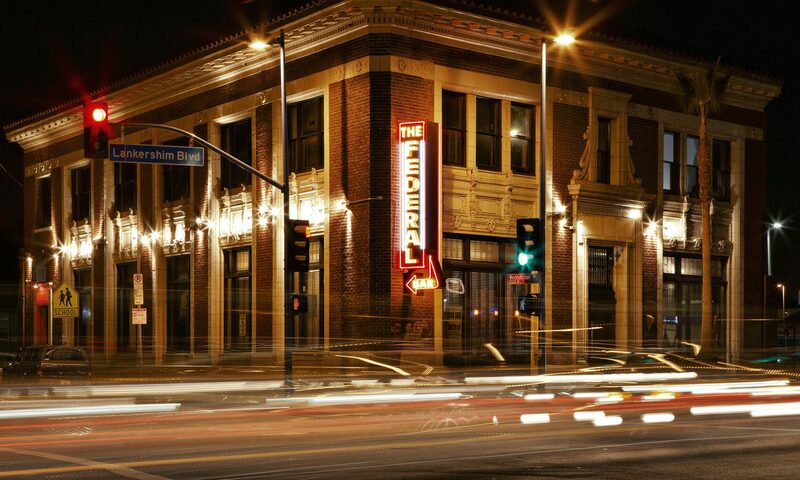 Metro provides Bus and Rail transportation to The Federal in North Hollywood till 2AM on Fridays and Saturdays. For your best route or more info, visit the Metro Trip Planner or call (323) Go Metro or (323.466.3876).